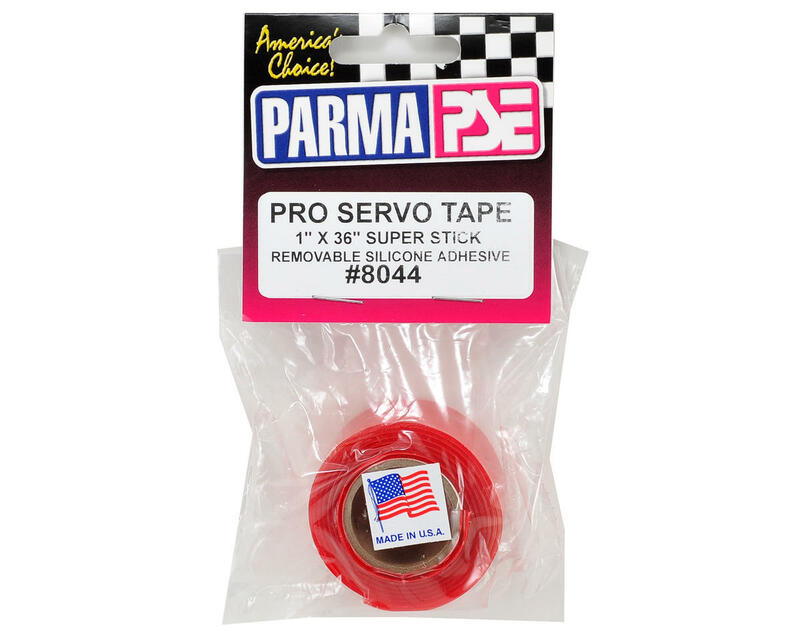 This is a 1x36" roll of Parma PSE Pro Servo Tape. 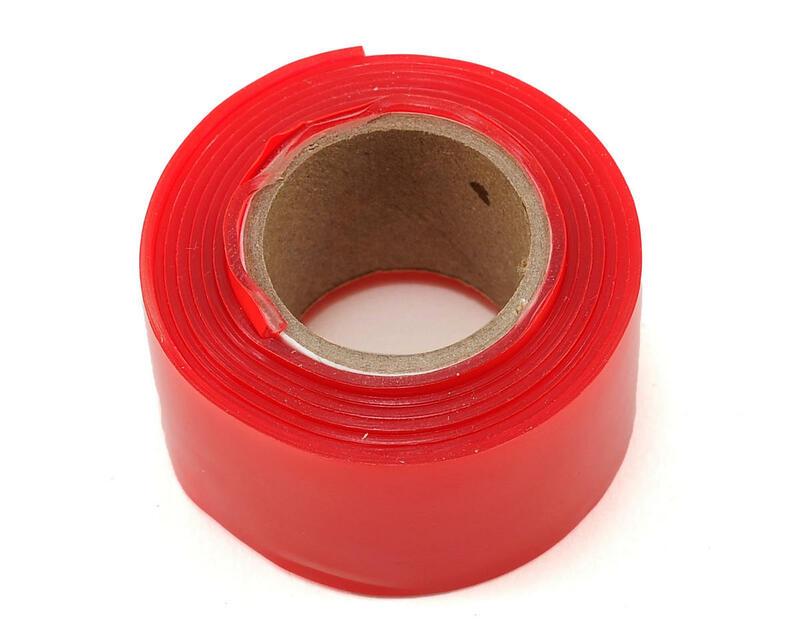 This servo tape is very sticky and will fasten your receivers, speed controls and transponders securely to your vehicle. Yet when you wish to remove them, they come right off without the servo tape breaking apart or leaving any glue residue behind! Best servo tape! It's the clear double sided type which is way better than the foamy type. Best servo tape out there! Im using this for all my ESC's, receivers, glitch busters and BEC's and it hasn't failed me once. This tape is the best. I found that cleaning both surfaces with alcohol has the best results. Also the tape sets in a few minutes but seems to have a full adhesion strength after a few hours. This is a great servo tape, maybe best there is. In addition to all other great abilities it also has a great dampening effect reducing/removing vibrations. Can't get to stick really well. All reviews looks good but my roll must be bad. I must be doing something wrong cuz I can't get it to stick for long, I've tried acetone and rubbing alcohol, but the nice thing is it comes right off with no mess, just clean and restick it back down. This is some kinda sticky. It works great and whenitis time to remove it it is pretty easy to do. The best servo tape out there. Although a little difficult to get off the roll cleanly sometimes, the nice part is it sticks very well, yet can easily be pulled off stuff when needed. No need for hobby to knife to scrape and scrape to clean up. Awesome stuff. Holds my ESC in place. This tape is strong enough that you will need to pry off the device you are sticking to your chassis. As stated great for sticking your ESC, reciever, or transponder to your chassis. Buying my 2nd roll as I type this! I've been using this stuff for a long time and won't use any other adhesive for my receivers. It is easy to work with, has a lot of holding power, and leaves no residue when removed. This stuff is awesome! It holds forever and comes off clean! Super sticky! This stuff is awesome. Holds like there's no tomorrow. When you need to get it off, comes off in one piece instead of little pieces like the foam kind. Well worth a little extra money. the best servo tape ever!!!!! i buy these at my hobbyshop for 9.00 a roll great deal!!! !